Today is International Transgender Day of Remembrance (TDoR) – a day to memorialise those who have been killed or who’ve taken their own life as a result of transphobia; and to bring attention to the continued violence endured by the transgender community. TDoR was founded in 1998 by Gwendolyn Ann Smith, a graphic designer, columnist, and activist, to memorialise the murder of Rita Hester in Allston, Massachusetts. Since its inception, TDoR has been held annually on 20 November and has slowly evolved from a web-based project into an international day of reflection. Typically, a TDoR memorial includes a reading of the names of those who lost their lives during the previous year, and other actions, such as candlelight vigils. Events take place throughout the country and worldwide. This year the Trans Murder Monitoring project compiled a list of reported cases from October 2016 to September 2017. The list runs to 64 pages, and there are 325 people. There is nothing inevitable about these tragedies and we must continue working together to tackle transphobia. In the Civil Service we apply zero tolerance to bullying, harassment and discrimination of any kind, and recently published a Civil Service Diversity & Inclusion Strategy that sets out our vision to become the UK’s most inclusive employer. We also have the staff network a:gender to offer a place of support. Allies have an important role to play in the workplace and beyond. a:gender encourages allies to join. They can hear the stories and respect the lives of Trans, non-binary and Intersex people, understand different Identities and challenge transphobia. TDoR is a time to offer our collective condolences to the friends, families and communities of those lost. It also provides a moment for us to come together, to heal divides and focus on that which binds us. We grieve, we remember and we reflect. Then we continue our work together to understand what more we can do to defeat the scourge of transphobia. If you want to find out more or contribute, please contact agender@homeoffice.gsi.gov.uk. "What can we all do? Collective thought can be empowering and can send a message of togetherness. On the 20th November at midday we ask everyone to pause and in that moment in time together, reflect on all of the lives that have been lost in the previous year. People in their final moments may have felt alone and frightened but at midday on the 20th November, with all our collective thoughts, they will not be. 'You were known to us.'" Civil Service staff networks have pledged their support for the TDoR Pause for Thought 2017. The levels of violence perpetrated, globally, toward trans-citizens, especially those under-25 is absolutely shameful & no marker of a democratic society. I'm sure I'm not the only person thinking we must improve the organs of Government, the Civil Service and security as well as education to prevent this - and make sure we, as a Nation, tell our international partners that we will not tolerate their Governments passing legislation that discriminates either actively or passively against trans- people. Whether that be cessation of funding, ceasing arms sales or introducing say travel or financial controls for these pariah states'. At the same time we should be highly aware of extremists in our domestic political scene using Trans- issues as a Trojan Horse for their own vile views. Thank you Sue for promoting this very important day. Ironically, I am currently in Istanbul where 14 years ago on this day a number if staff and local people lost their lives following the attack on the British Consulate-General Offices. So I have seen the serious impact that such unacceptable behaviour can have on the lives of others. I believe that there is far more awareness about the Transgender community these days and this is being helped through the inclusion of transgender actors / actresses in television programmes. What I was also shocked to learn a few years ago that in a number of cases the bias and lack of acceptance towards the Transgender community was also from members of the LGB community! So I suppose the challenge moving forward is how do we as Allies look to resolve that particular issue? Thanks to Sue for once again lending her voice to making this real. We are always being told that we need to create the culture that allows for colleagues to bring their whole self to work. 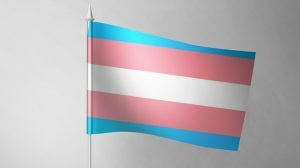 For those of us who identify as being transgender in its widest form, that is not only important for the individual but to know that you have colleagues who support you. Being transgender is something that cannot be hidden and from time to time we all need that little bit of assurance. 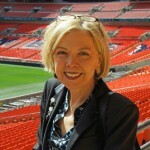 Thank you Sue and to the Civil Service in creating a culture of authenticity.